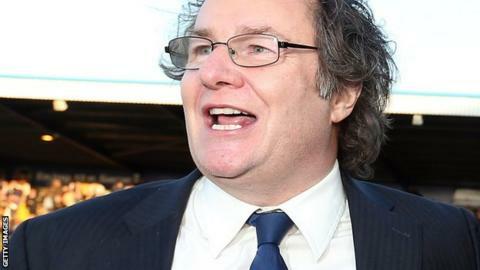 Mansfield Town chairman John Radford hopes to name a new manager at the League Two club within seven days. Radford has also confirmed that caretaker boss Adam Murray, who has won both games since being put in charge following Paul Cox's departure, has not "put his hat into in the ring yet". "I'm looking for someone who has the connections that the club might need to take it to League One and possibly to the Championship. "I'm looking for someone with a bit of experience. Having said that, I won't narrow my scope. It's wide open between the six candidates." Radford said a key trait of Cox's potential successor would be their ability to work within one of the smallest budgets in the Football League. "For chairmen, it is a very aggressive sport as far as the financial purse strings are concerned, so you do need a manager who can be prudent and keep an eye on budgets and things," he told the club's website. Midfielder Murray, 33, who worked as Cox's assistant, has said he is yet to decide if he is ready to retire as a player to move into management. However, he revealed that if appointed at Field Mill he would seek help from former Stags boss Billy Dearden. "Adam has said that he can't manage and play," said Radford. "He wants to get himself out on the playing field again. He wants to be out there captaining the side." Mansfield sit 17th in the table with last week's win over Plymouth their first league victory in nine matches.